Hark, all ye young musicians - for those who are worried their music might never make it out of north Texas, do we have the success story for you: Denton native Sarah Jaffe's original music was featured in this year's Sundance Film Festival as a part of the independent film Never Goin' Back. The film was shown at Sundance's Midnight showings, between January 22nd and 27th, all four of were sold-out. When Jaffe was approached by filmmaker Augustine Frizzell about scoring Never Goin' Back, she said it was a "no-brainer." "Over a handful of months, I composed a handful of instrumental scores, collaborated/contributed a song with producer Nick Seeley and Andrew Tinker," Jaffe explained - a few pre-existing songs of hers made their way into the soundtrack as well. The film itself has be lauded by publications like Variety and Interview Magazine. 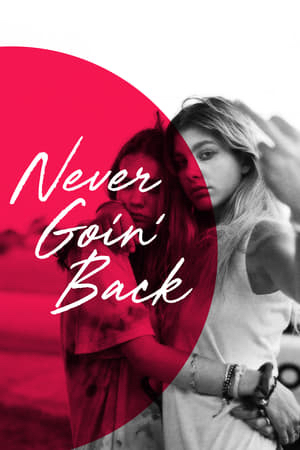 And, just like the singer-songwriter's origins, the plot of Never Goin' Back is Texas-centric, following the misfortunes of two waitresses who attempt to save up for a dream vacation to Galveston. The storyline is inspired by real events in Frizzell's life, who said in an interview with Deadline that she sought to showcase female friendship in her film. Seeing Frizzell's final work on January 22nd was, in Jaffe's words, "nothing short of wonderful." This score comes quickly after Jaffe's 2017 album Bad Baby, which was placed on the Grammy's list of Top 15 Albums of July 2017, among other acclaim. Find her music on Spotify and Apple Music. STREAM: Mother Tongues "Microwaved Bubblegum"